On March 16th, Entravision Washington, DC took part in the 9th Annual Minority Business Expo at the Walter E. Washington Convention Center. Over 1,500 attendees and 170 exhibitors participated in the Expo providing business and career development opportunities for the region’s business community and residents. 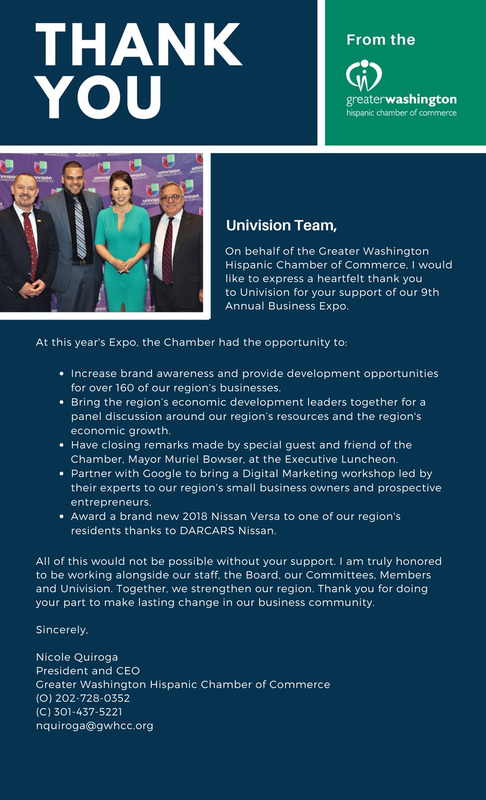 Check out the video recap from the event as well as the thank you note from Nicole Quiroga, President and CEO of the Greater Washington Hispanic Chamber of Commerce.